When it comes to food, pottage was one of the best-known staples of the medieval diet and cabbage was widely available. A cabbage pottage recipe was therefore on the menu in many medieval English homes. In deed, cabbage pottage is a traditional food that has been handed down over the centuries. Today, of course, we refer to pottage as soup. Do you remember ‘Charlie and the Chocolate Factory‘ ? Well, even Roald Dahl featured cabbage soup in his story. He portrayed the poverty of Charlie Bucket’s family by having them eat cabbage soup every day. My cabbage pottage recipe is easy to make. Also, the ingredients are not expensive and it is delicious to taste, especially on a cold autumn or winter’s day. When I first made cabbage pottage for my family they were not very excited at the idea but once they smelled and then tasted the pottage itself, they were hooked! We now have cabbage pottage on a regular basis. I serve it with chunky bread and it really is delicious! 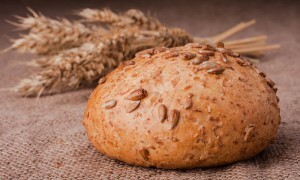 You can even make your own medieval style bread using my barley bread recipe. 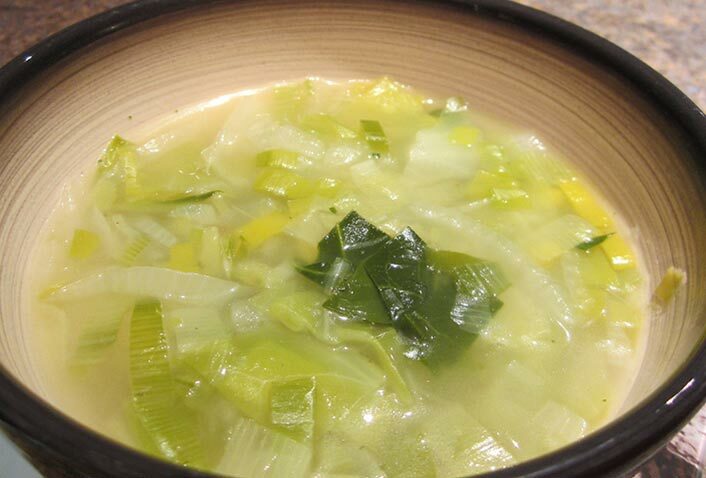 You can vary this cabbage pottage recipe by using just half the amount of leeks. Replace them with a couple of carrots and a handful of peas. You can also vary the herbs and spices in the recipe. Use whatever you prefer. 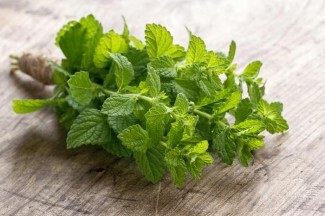 Perhaps a little fresh mint, dill or rosemary. This is what people did this back in the 13th century because medieval herbs were a recognised part of medieval cooking. The beauty of making pottage is that it is easy. You can conjur up all kinds of variations of flavour. So go ahead and try this pottage recipe. Hopefully, you will see cabbage as quite a different and much more appealing food! 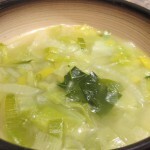 An easy pottage recipe - cabbage soup using ingredients common in medieval England including leeks, herbs, onions. Wash and chop the cabbage and leeks. Thinly slice the onions. Put all the ingredients together in a large pan. Bring to the boil and simmer for 10-15 minutes. The finer you chop the cabbage, the quicker the pottage will be ready.